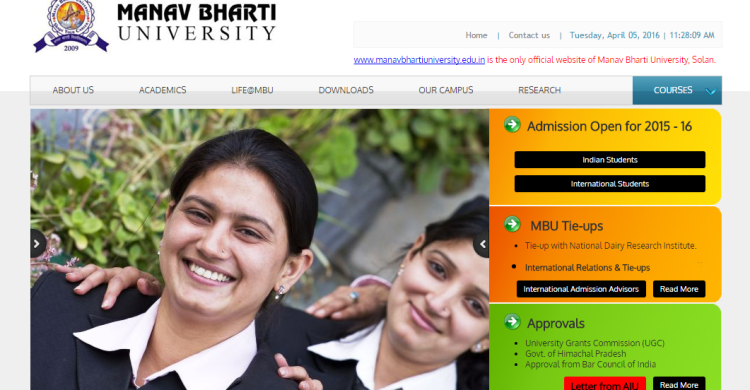 Manav Bharti University was established in 2009 under the H.P. Private University (Establishment & Regulation) Act and is owned by Manav Bharti Charitable Trust with the aim to advance and disseminate the knowledge and maintain highest standard of learning through teaching, research, extension education programme and conceptual aspects relevant to the need of the state. Click here to view approval from UGC. Click here to view the reply of RTI from UGC.